Sometimes, in the path of a career, there comes a time when enough is enough. Motorhead guitarist Phil Campbell recently revealed that the bands founder, writer, singer and bassist, Ian “Lemmy” Kilmister, had indeed had a pacemaker fitted earlier in 2013. The band have since cancelled shows due to the main man still feeling less than great. As early as June 2012, at the bands appearance at Shoreline Amphitheater, as part of the Rockstar Mayhem tour, Lemmys skin looked waxlike and during a Motorhead meet and greet, his appearance was brief. He spoke very little. 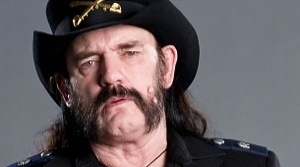 On the new record, Aftershock, Lemmy sounds to be slurring and his vocal has lost the power it once possessed. Musically the band are world class, performing blindingly. But there is a very obvious missing link. Download Festival in England 2013, saw Motorhead perform a relatively short set. It also saw a brief performance by former drummer Phil “Philthy Animal” Taylor. He was gaunt and shaky. Seeing the two together fired up the rumor mill. “Who will be first to go?” One of the whispers circulating after the set. Lemmy has paid his dues, not only with Motorhead and Hawkwind, but as the penman and co-voice on many a rock song. No-one wishes to see the end of such a pivotal music outfit as Motorhead, but it is probably true that music fans everywhere would prefer that Lemmy stuck around a little while longer and if that means he needs to be sitting quietly and sipping on a Pimms, so be it.